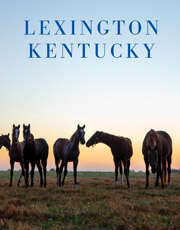 Ideas for your vacation in Lexington, Kentucky. What are your special interests? Here is a collection of articles covering everything from bourbon to bicycling to help you make the most of your vacation in Lexington. For more information on the subjects listed below, just click on the title of each paragraph. Overwhelmed with your options? Click here for our Top Ten List. Keep track of what you&apos;d like to do while in the area with our new Trip Planner feature. A "must do" when visiting the Horse Capital of the World. Get a behind-the-scenes look at the multi-billion dollar Thoroughbred industry on personalized horse farm tours. Take a van tour, go with a private guide, or schedule your own visit. Whether you are spending a day, a week or longer in the Bluegrass, you will learn fascinating information about African Americans and answers to questions you might never have thought to ask! Search for treasures from the past, including "local" finds such as antique quilts, cherry corner cabinets and Shaker baskets, in over 200 area antique shops-- we&apos;ll guide you to the best bets. Shop for Appalachian crafts and folk art in Berea, "The Arts and Crafts Capital of Kentucky" or tour a variety of artist&apos;s studios. Visit one of the top craft festivals in the state at Shaker Village in Harrodsburg. Whether located in quaint downtown historic neighborhoods or in the heart of horse country, Bluegrass bed & breakfasts are a combination of charming tradition, historic atmosphere and modern conveniences. If it&apos;s Bluegrass music that strikes a chord with you, read on to learn about our state&apos;s connection to this unique genre of American music. First, we&apos;ll figure out how a grass can also be a musical style. Explore the spirited Kentucky tradition of bourbon-making by touring The Woodford Reserve Distillery, the only distillery using the original Scottish "pot still" method; Buffalo Trace, maker of Ancient Age; Boulevard Distillers, maker of Wild Turkey; beautiful Four Roses Distillery, and others. Mount your own Civil War campaign to explore a state whose citizens supported both sides. Discover battle sites, homes of abolitionists and historic slave quarters. Visit the homes of Kentucky&apos;s first millionaire, one of America&apos;s most famous statesmen, a Civil War general, and the wife of Abraham Lincoln. Although there are none to be found in "Madison County", Kentucky, the state boasts 13 remaining "timbered tunnels." Nestled along backroads like hidden jewels, they are the perfect excuse for a leisurely drive in the country. Downtown Lexington has a lot to offer; sightseeing, dining, shopping and entertainment in "the city in the park." In the heart of the beautiful Bluegrass region lies a very cosmopolitan yet casual city. From paddlewheel rides along the Kentucky River to horseback riding through deciduous forests, there are a number of ways to enjoy Kentucky&apos;s fall foliage in October and early November. Find interactive fun at the Explorium, sample the sweets and see how candy is made at Old Kentucky Chocolates, and experience horses "hands-on" at the Kentucky Horse Park. Go behind the scenes to watch race horses go through "early morning workouts"; relax in the reading room of the nation&apos;s #1 bookseller; learn about another kind of Kentucky horsepower at the Toyota Motor Manufacturing Plant; or discover one of 70 other fabulous freebies. Enjoy Lexington&apos;s "growing" attractions: take a memorable stroll through Lexington Cemetery, nationally recognized for its arboretum and gardens, or take a "plant walk across Kentucky" at the Arboretum on the grounds of the University of Kentucky. Visit the Kentucky wineries and vineyards that dot the landscape of the Bluegrass Region. Learn our surprising connection to the birth of the wine industry in the United States. Hike and bird-watch at Raven Run Nature Sanctuary or the Daniel Boone National Forest, saddle up and hit the trail, cast your line in at bass-filled fishing lakes, and canoe or boat in the state with more navigable waterways than any other besides Alaska. Religion has played a cherished and important role in Bluegrass life from the arrival of the first settlers in the late 1700&apos;s. Historic sites, diversity of denominations and special events reflect the importance of religion in the Bluegrass. Follow in the footsteps of Abe Lincoln and Daniel Boone, discover African-American achievements, search for ghostly spirits, or trace your family&apos;s Bluegrass roots. Visit the homes of Kentucky&apos;s first millionaire, one of America&apos;s most famous statesmen, a Civil War general, and a controversial First Lady. Reunite with family and friends for Southern Lights, the state&apos;s largest holiday light show. Tour historic homes decked out for the season. Celebrate by attending seasonal performances of theatre, music and dance. Join in the fun of numerous holiday special events. Meet past and future Kentucky Derby winners and get a behind-the-scenes look at the multi-billion dollar Thoroughbred industry on personalized horse farm tours. The race is held in Louisville, but Lexington is where Thoroughbreds are bred, foaled, trained, bought, sold, raced and retired; where the Derby Eve parties are held; and where the mint julep was perfected. 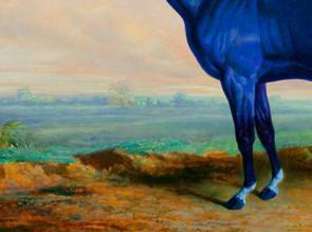 Take time to learn about equines at the International Museum of the Horse, jewels at the Headley-Whitney Museum, planes at the Aviation Museum and much more with this "A to Z" guide to historical, artistic and unique collections. 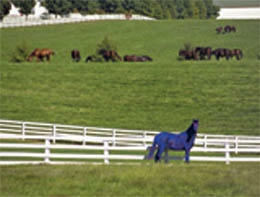 Agritourism is an up-and-coming industry in the Bluegrass. There are plenty of opportunities for visitors to enjoy nature&apos;s bounty in and around Lexington and discover our agricultural heritage along the way. From brand names to bargain buys, great shopping abounds in Lexington. From charming boutiques to mega centers, you can find your favorite national retailers and, without looking too hard, are sure to discover locally owned shops that are pure Kentucky along the way.